Cultural environment is an important criterion for the building of a politically strong unit and contributes to promoting the virtues of Uncle Ho’s soldiers and creating spiritual motivations for each cadre and soldier to overcome difficulties and successfully fulfil the assigned tasks. Thoroughly understanding that, over the past years, in addition to performing all the tasks and building comprehensively strong offices and units, the Party Committees and Commanders of the Division 9 (under the Army Corps 4) have always focused their leadership and direction on stepping up the Campaign “Building fine, healthy, diverse military cultural environment” (hereafter the Campaign) associated with the Movement “All people unite in building cultural lifestyle”, and achieved important results. Reviewing the recorded results, the Division has drawn lessons to lead its units to continue enhancing the Campaign, contributing to cadres and soldiers’ training and self-improvement for the sake of the True, the Good, and the Beautiful as well as cultural lifestyle, a sense of discipline and unity between the military and the people, providing the foundation for improving its combat strength. First, enhancing the work of propagation and education to raise cadres and soldiers’ awareness of role and importance of the building of cultural environment within the unit. The Division has directed its affiliates to step up education at each level and closely combine basic education with education based on emulation movements and campaigns. 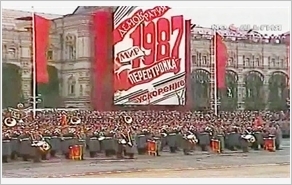 In parallel with the struggle on the ideological and cultural front, the Division has identified that focuses of education for cadres and soldiers have been placed on not only healthy cultural lifestyle according to criteria for new socialist men, revolutionary ethics, virtues of Uncle Ho’s soldiers, tradition of a twice-rewarded People’s Armed Forces Heroic Unit, but also the improvement of troops’ political stuff and revolutionary vigilance against social evils and plots and artifices by hostile forces. During the course of implementation, the Division has required its affiliates to regularly renew forms and methods of propagation and education to make them relevant to groups of soldiers, with emphasis placed on units tasked with maintaining combat readiness, training new recruits and performing separate, important missions. Cadres and party members, especially key cadres must set typical examples of cultural lifestyle for soldiers to follow. Each cadre and soldier must be a “cultural soldier”, while each office and unit should be built into a “Cultural Unit”. At the same time, it is necessary to well implement the Grass-Roots Level Democratic Regulations and actively detect, cultivate, build and opportunely applaud typical collective, individual, “good people did good deed” examples in the area of culture. Also, it is important to resolutely fight against deviations and irresponsibility for the building of cultural environment as well as signs of degradation in political ideology, morality, and lifestyle, uncivilized manners, and distortions by hostile forces. Accordingly, every soldier should improve themselves according to their unit’s cultural standards and harmoniously manage relationships among each other. To achieve the effectiveness in the implementation of the Campaign, the Division has attached importance to strengthening leadership and direction of party committees and commanders at all levels. Annually, grasping higher echelons’ directives and guidance on building cultural environment, the Division’s Party Committee has clearly set out targets, guidelines, measures and action plans to execute the Campaign in accordance with its particularities. At the same time, it has elaborated standards for cadres, party members, youth union members and other unions’ members and built comprehensive strong organizations in line with criteria for building offices and units’ green, clean, beautiful environment. Most notably, cultural criteria for socialist Vietnamese new men have been concretized into each work position. Material and spiritual benefits have been ensured in accordance with each office and unit’s conditions while the results of building cultural environment have been seen as an important criterion for assessing the task performance of each organization and individual. Moreover, the Division has asked its affiliates to closely combine the building of cultural environment with the implementation of the 12th Politburo’s Directive 05-CT/TW on studying and following Ho Chi Minh’s thought, morality and lifestyle, the Resolution of the Party Central Committee’s 4th Plenum on the Party building and rectification, the Determined to win emulation movement, and the Campaign “promoting tradition, devoting talent, deserving to be Uncle Ho’s soldiers”. This task must be included in plans with specific targets and proper measures. Also, the Division has directed party committees and commanders at all levels to enhance inspection in order to opportunely detect, reward, and multiply units with good performance of this task and effectively models as well as to rectify units with bad task performance. As a result, the Campaign has been widespread within the Division and contributed to building cultural and spiritual lifestyle among soldiers and creating the synergy for the successful fulfilment of the missions. In addition to, the Division has actively renewed forms and methods of its operations and brought into play mass organizations and cultural institutions. To do so, the Division has directed the building of cultural environment towards the performance of its political task. Thus, the Campaign has been implemented widely and focused on training, combat readiness, regularity building, discipline maintenance via various forms and approaches. As far as the units tasked with combat readiness are concerned, besides the building of green, clean, beautiful environment, the Division has directed party committees and commanders at all levels to provide sufficient materials and equipment to organize cultural activities, particularly on national holidays. During training courses, the Division has strictly maintained the regimes for soldiers’ spiritual life, particularly in field training courses and live-firing exercises far away the unit. Consequently, its quality of training has been improved considerably; the Division has gained the title of “Good training units” for many years. One of the lessons drawn by the Division on building cultural environment is that offices and units have promoted the role of mass organizations, particularly the Youth Union; regularly organized cultural, artistic, sport, entertainment activities; cooperated with twinning units in holding dialogues, forums, artistic exchanges to strengthen the military-civilian unity. It should be noted that the Division has built various models to serve its troops’ cultural and spiritual models, such as “Soldiers’ Cultural Park”, Soldiers’ Collective Birthday Party”. It has attached importance to organizing reception of localities and soldiers’ relatives to form strong attachment and maintain cooperation between the unit and localities in preserving healthy cultural environment, combating social evils, and reducing the number of violations of discipline. The Division has directed its units to regularly consolidate and improve the effectiveness of cultural institutions and the system of internal broadcast and Culture Houses. Moreover, the Division has actively cooperated with local party committees and authorities in implementing the Movement “All people unite in building cultural lifestyle”. Promoting the blood relationship between the military and the people, the Division has directed its affiliates to maintain the relationships with party committees, authorities and locals in the stationed area as well as the order for exchanges and twinning activities. Annually, the Division has cooperated with localities’ Steering Boards for the Movement “All people unite in building cultural lifestyle” in developing agreements, plans and regulations for coordination; in visiting and giving presents to families under preferential treatment policy and in difficulties. Following the movement “The Military joins hand to build new-style rural area” launched by the Central Military Commission, the Division has mobilized cadres and soldiers in community services, such as repairing rural roads, dredging paddy canals. Notably, the Division has cooperated with the Youth Union in localities in repairing Monuments, Martyrs’ Cemeteries, Charity Houses, providing free examination and medicine for people from families under preferential treatment policy and poor households. From 2012 to 2017, thousands of the Division’s cadres and soldiers spent more than 10,000 working days on this work. Furthermore, it has regularly grasped the situation in the area and opportunely dealt with arising issues or violations of discipline in the military-civilian relationship. That has contributed to creating healthy cultural environment both in the unit and localities and building comprehensively strong unit and safe area. The results and lessons on building cultural environment associated with the implementation of the Movement “All people unite in building cultural lifestyle” over the past 25 years will be an important basis for the Division 9 to continue to build comprehensively strong unit and successfully fulfil every assigned task.